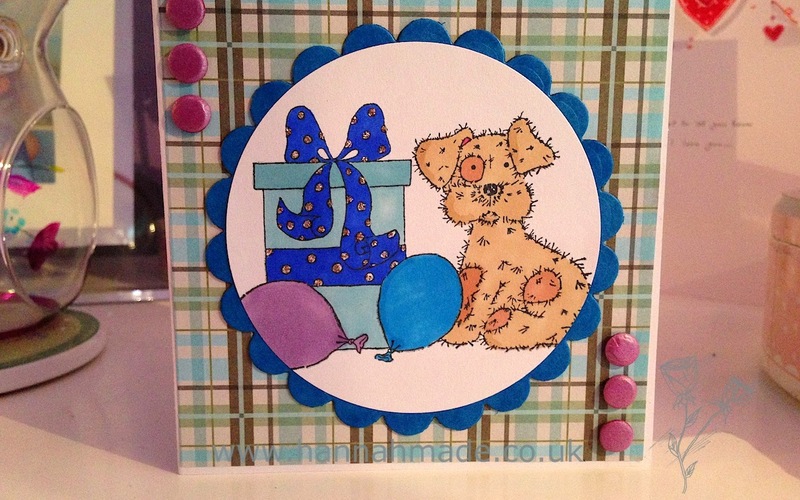 I had the challenge this week of creating another boy card! I am terrible when it comes to boy cards but I think I kept the ribbon and glitter under control (maybe!). This card was for my Dads colleagues son, he was turning 11 and my Dad said he was at their house that day so I told him it would be rude not to take a card! (any excuse to get crafty!) I didn't have much time so I decided to spend more time colouring than paper layering but I think I'm happy with how it looks!